If you're looking for someone to make your dreams come true- just look in the mirror. You are equipped with every thing you need to live the life you want. You may need to align yourself with people who have the resources to get you to the next level, but YOU have to believe that you possess the know how to make things happen. However the thing that keeps many of us from reaching that next level or living out our dreams is self doubt. We don't think we're smart enough, talented enough or capable to really pull it off. So we sit back and wait for someone to notice us or give us permission to be successful. I challenge you today to be bold in your pursuits and don't seek permission, look in the mirror and say, "I am capable. I am strong. I can do anything I set my mind to!" And BELIEVE this with every fiber of your being! Then take a deep breath, square your shoulders and GO FOR IT! 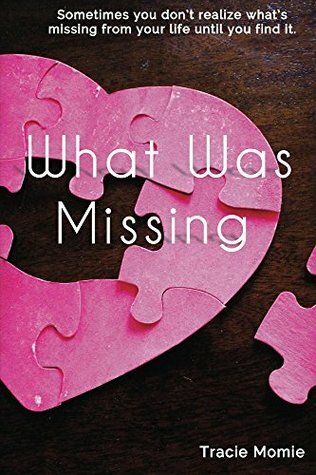 I'm giving away two copies of my book, What Was Missing on Goodreads. Are you a member? If so, log on and sign up today! If not, what are you waiting on? If you love reading and want to connect with other readers you should definitely consider joining Goodreads! The contest ends July 13th, so don't miss out! You can read an excerpt today at whatwasmissing.com. GOOD LUCK! Giveaway ends July 13, 2015. My husband was running a marathon (number 17, I think) and he brought home some of the thundersticks that you use to make noise and cheer on the runners. "YOU DON'T KNOW IF IT WON'T WORK, UNLESS YOU TRY IT." My husband chuckled and told her to go and get a drinking straw. And guess what? It worked! Kids say the darndest things but they are often a lot smarter than we give them credit for. I've kept her words in the back of my mind every time I face a challenge. Whenever I want to give up because it seems impossible, I remember my daughter's words and at least try before throwing in the towel. Because as the old saying goes. . .nothing beats a failure but a try! I love to read. I love to read books. Books are lengthy and they are often lengthy because there is a plot, background, characterizations, dialogue, etc. But if it's not bound or stitched in a book, I don't like reading anything thing else that's lengthy . Long blog posts bore me to death. I always find myself skipping over paragraphs to GET TO THE POINT. I think we feel using a bunch of superfluous words or anecdotes makes us sound smarter or deep when it's really unnecessary. . .see what I did there? Unfortunately we're living in a 140 character or less society and you can often lose people (and their attention span) in details that don't add anything to your post. Tell us what we need to know, why we need to know it and how it will benefit us. Thank you and good night! I struggle with laziness. Like everyday of my life pretty much. I would love nothing more than to stay in bed reading, watching TV and eating chips and salsa everyday. But I can't (unfortunately) because the way my life is set up I have a husband, kids and clients depending on me. I manage to meet (and often) exceed expectations all the way around, but it's not easy. Procrastination is my arch nemesis. I have been known to avoid doing something for the most nonsensical reasons: "Oh, it'll only take me a few minutes, I'll do it tomorrow." Um, if it will only take a few minutes why not do it NOW?? I side-eye myself all the time. One of my saving graces and my number one productivity hack has been writing DAILY to do lists. Because as much as I like wallowing in my laziness, I also live for that incredible feeling you get when something is DONE. I love marking stuff off my list! Like physically taking a pen- and pretending its a sword - and slaying one bullet point at a time! Besides, I've come to realize the sooner I can get stuff done on my list, the more time I have to stay in bed, reading, watching TV and eating salsa and chips! WIN-WIN!